Once again, a Loft-Simson-provided chair has been used in a production shown on Channel 4. 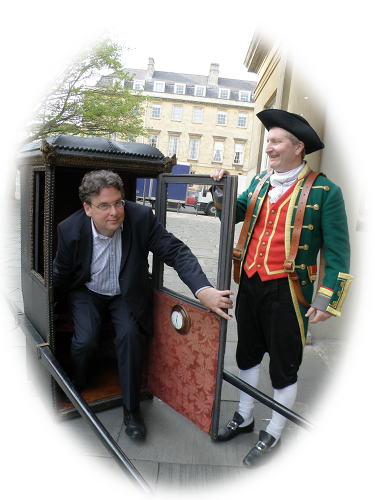 The Westminster ‘Gala’ or ornamental sedan chair was loaned for use in an episode of Britain‘s Most Historic Towns about Regency Cheltenham broadcast on Saturday 5th May 2018 at 8 pm. The chair can also be seen in the title sequence of other episodes of the six-part series. 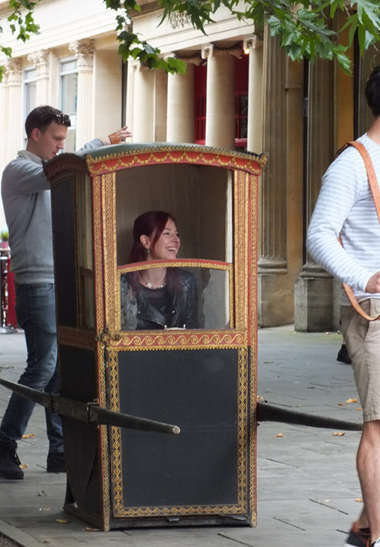 Judging by the picture, the programme’s presenter, Professor Alice Roberts, seems to have enjoyed the opportunity to view the world from this opulent and prestigious conveyance. 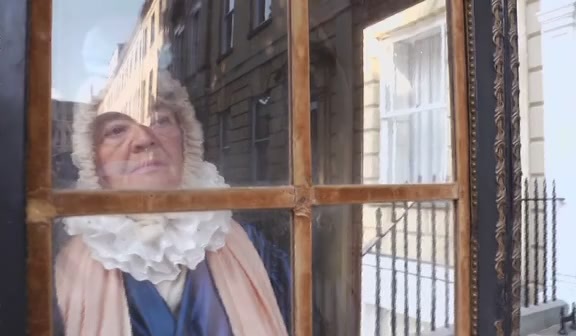 In an exciting collaboration with Redcliffe Films, Stephen Loft-Simson has provided three sedan chairs to be used in a production about the life of philanthropist poet and playwright Hannah More (1745-1833). Here we see the chairs in action in some early clips from filming in Clifton in summer 2014. 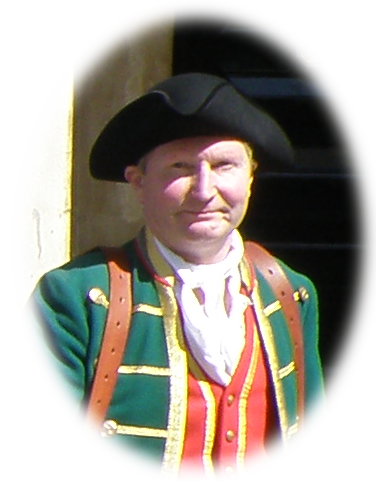 Mr Loft-Simson can be seen as one of the chairmen. Hannah’s life was varied and rich and she met many of the worthies of her age, from Wordsworth and Coleridge to Wilberforce and Gladstone. She was a friend of actor David Garrick until his death and her plays were performed in Bristol and Bath as well as Drury Lane in London. She also opened schools and wrote about women's education, among other social and political subjects. 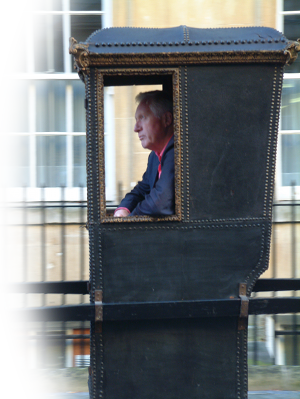 Stephen Loft-Simson, shown here in a typical chairman’s livery, assisted the BBC in the making of an introduction for the long-running flagship programme, The Antiques Roadshow, by carrying presenter Fiona Bruce through the streets of Bath to the Upper Assembly Rooms, where the programme was filmed. 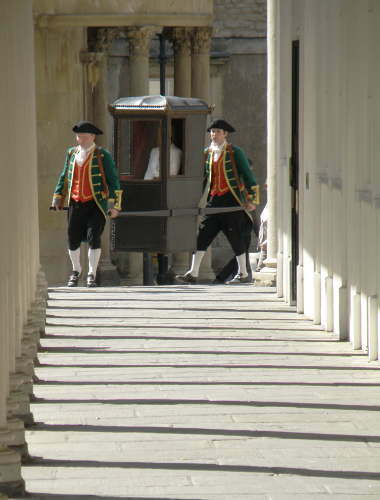 Viewers saw Mr Loft-Simson as the front chairman leave Nº 1 The Royal Crescent and dash past many of the city’s sights as he and a member of the BBC crew conveyed Ms Bruce to the venue in true eighteenth century style. 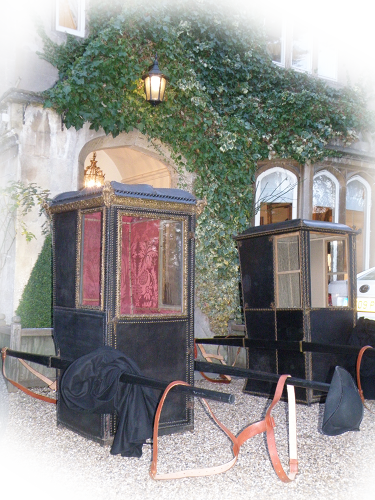 The programme, which was broadcast on BBC1 on Sunday 31st January 2010, and was repeated on Sunday 22nd February also featured one of Mr Loft-Simson’s antique sedan chairs which he provided for the occasion (probably the oldest means of transport still in occasional use in Britain). 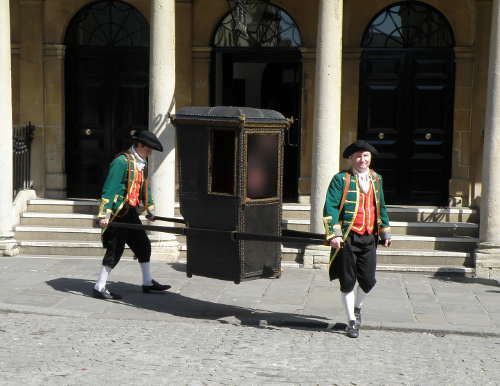 The chair was in action in Bath again on the eve of the programme’s transmission, when it and another were used to carry a bride and bridegroom from their reception at the Bath Priory Hotel. 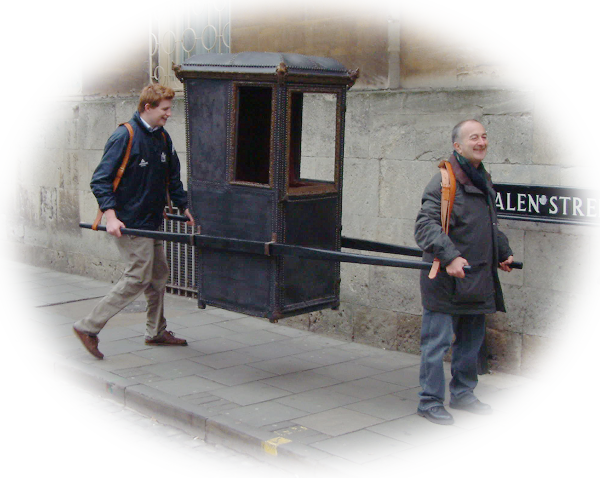 Mr Loft-Simson has also provided consultancy and loaned a sedan chair for the BBC series How we Built Britain presented by David Dimbleby. 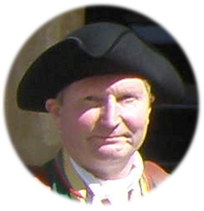 He has also appeared with Sir Tony Robinson as part of Channel 4s first series Worst Jobs in History.